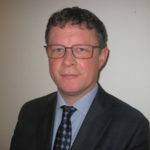 Dr.Tarlach McGonagle is a senior researcher/lecturer at the Institute for Information Law (IViR), Amsterdam Law School, University of Amsterdam. He specializes in a range of freedom of expression and media freedom issues, including the rights,duties, responsibilities and safety of journalists and other actors who contribute to public debate. McGonagle’s academic work is characterised by its emphasis on international and European human rights law. He regularly advises and writes expert studies for the Council of Europe and the OSCE. He is a member of the Council of Europe’s Committee of Experts on quality journalism in the digital age, having previously served as Rapporteur of both the Council of Europe’s Committee of Experts on media pluralism and transparency of media ownership (2016-2017) and its Committee of Experts on protection of journalism and safety of journalists (2014-2015). The latter committee drafted a text that was adopted by the Council of Europe’s Committee of Ministers as its Recommendation CM/Rec(2016)4 to member states on the protection of journalism and safety of journalists and other media actors. McGonagle’s current projects include a focus on the implementation of the Recommendation, as well as focuses on other shared interests with CFOM and the Journalism Safety Research Network.